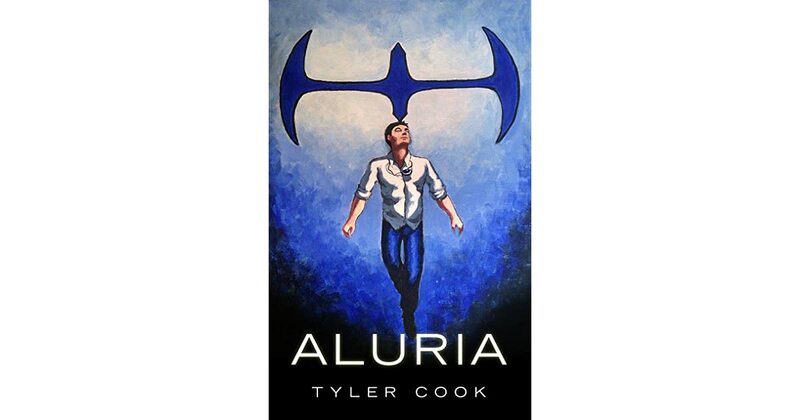 Aluria by Tyler Cook is a fantasy, action, adventure novel which revolves around a boy named Jason Conner who lives in Canton & merged with a spirit named, Aluria (means Hope) in order to save his teenage crush, Tessa. After merging with Aluria the superhero of Canton leaves the city to learn about his new powers. Since Jason and the ancient Aluria merged that fateful night they had become more powerful & in-sync. Their minds had become one. He disappeared for 10 years to explore the world. But then suddenly he returns to save his city from evil Raiz, an old enemy of Aluria, a powerful sorcerer holding black magic. The author described Jason's come back in brief. He meets his long lost love Tessa and both recall each other's memory. Tessa is an ambassador of Balton. She is a strong & an independent woman having secrets of her own. In the meantime, Raiz wants something from Tessa which grants him infinite power. There is another character named Bonnie who helps Jason in his superhero journey and covers his tracks. "You'd be surprised by how far a person will go to protect the ones they love." The story of Aluria reminds me of a series named Arrow where Oliver Queen, a rich businessman disappeared & considered to be dead until he came back to save his city. Well, back to Aluria it is a fast-paced story with so many errors. The storyline is one-dimensional. The author didn't do justice to the characters. It's a short read so characters are not described well. The dialogues or description between characters is lame. I can't feel any kind of emotional connection with any of the character. Aluria & Jason have odds on how to handle situations, with Jason's empathy for his enemies. Aluria is the first book in a series. The next one is Vigilante which I'm least interested in reading. I don't enjoy reading this book. There is a lot of grammatical & spelling errors which disturb the flow of reading. The character of Tessa was powerful but the author didn't focus on her. She is just used to move the plot and give motivation to Jason. She had potential but nothing happened. This book can't stand on its own because of underdeveloped character or non-sense plot progression. All the main components of a good story are missing in this book. I would not truly recommend this book to anyone, but if you have nothing to read or you are a very big fan of Batman or superheroes, then you can give a shot to this book. Tyler Cook is a graduate of Western Carolina University with a degree in communication, a concentration in public relations and a minor in history. A native of Franklin, Cook is co-founder and publisher of Moonshine Press. In 2014, He co-wrote A guide to Historic Dillsboro, a book celebrating the 125th anniversary to Dillsboro, NC. Five months later, Cook released his debut novel The One, a love story set in the Appalachian Mountains. In April of 2015, Cook received the WCU Outstanding Student Achievement award for his work. Cook's second novel, Aluria published in 2016. Cook is tied closely to the region, currently working at Southwestern Community College, assisting Barbara McRae in her campaign for Franklin Town Alderman, interning with the Macon County Schools Administrative Offices and WCU's College of Arts and Sciences, as well as volunteering through the New Century Scholars program.